Patent fight! Will David Boies slap Redmond yet again? 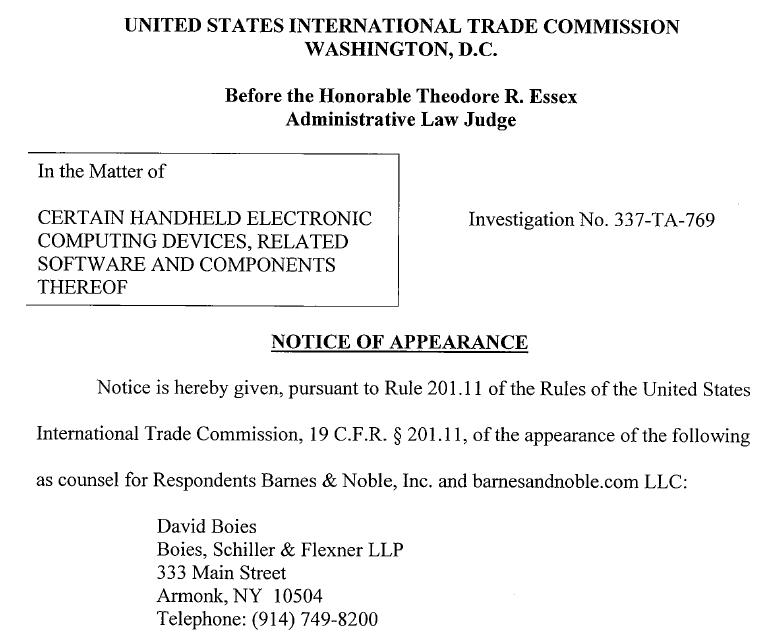 Barnes & Noble has hired David Boies to join its legal team in a fight with Microsoft at the US International Trade Commission over alleged Android patent infringements. Boies, chairman of the Boies, Schiller & Flexner law firm, represented the US Department of Justice back at the turn of the millennium in its successful antitrust case against Microsoft, and his sustained questioning of senior executives such as Bill Gates was regarded by many as significantly damaging to Redmond’s cause. He was, however, less successful in fighting in Al Gore’s corner in the court case resulting from the disputed 2000 US presidential election, and he still represents SCO in its ongoing drain-circling. “I guess the primary reason for which Boies is becoming involved is to give this matter a higher profile, but ultimately Barnes & Noble's allegations will be judged on their merits,” blogged patent-watcher Florian Mueller. However, the appointment is slightly complicated by one of Boise’s other clients: Oracle. He has been retained by Ellison’s mob to bring the fight to Google in another case of Android patent infringement, this time over Java.